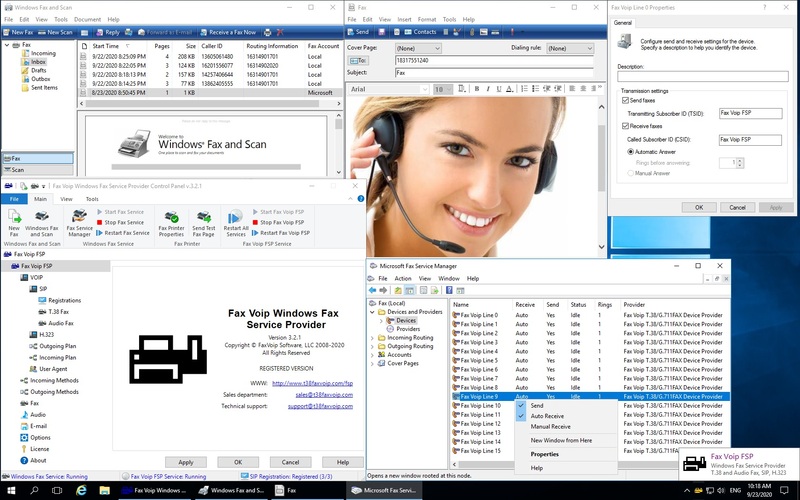 Fax Voip Windows Fax Service Provider - Enables Microsoft Fax and Windows Fax and Scan, which are built right into Windows, to send and receive T.38 and audio (over G.711 codec) faxes using VoIP (SIP or H.323). Mail to Fax. Routing Extension: E-mail, Store in folder, Print, Custom. Automatic copying of the files chosen on a mask from the removable data carriers connected to the computer (a flash disks, removable hard drives, etc.) in the chosen folder on a local disk. In certain cases it can be used as means of automatic backup of data. Automatic copying of the files chosen on a mask from the data carriers connected to the computer (fixed hard drives, etc.) in the chosen folder on a removable data carrier. In certain cases it can be used as means of automatic backup of data.